Our Study Day this Spring became the second such occasion when a dialogue took place at St Vincent‟s University Hospital between psychoanalysts and psychiatrists. The subject of our dialogue was the challenge we face in the treatment of bipolar affective disorder. Borrowing from the programme literature, it was expected that both groupings would offer rich, robust and relevant perspectives on this disabling condition. This proved to be the case. A spirit of willing and generous engagement was displayed among colleagues with sincerely held positions, some differing, some in accord, but all committed to the advancement of an exchange of views, questions and concerns on a complex and troubling subject. Good morning ladies and gentlemen and welcome to our conference. My task is very simple and pleasant – to welcome you all. Let me begin by congratulating Dr. Patricia McCarthy for organising with our committee, this very interesting conference. I‟m not going to mention all the Irish speakers by name, but just to say a special word of welcome to Dr. Bailly who is a French Psychoanalyst – you‟ll be hearing from him later – and also to Professor Daniel Burston from Duquesne University, Pittsburgh. 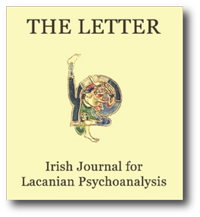 And also to say welcome to Dr. Cormac Gallagher who was a co-founder of the School of Psychotherapy and has made a very important contribution to psychotherapy and psychoanalysis especially Lacanian psychoanalysis here in Ireland…..
During the last quarter of the twentieth century neo-Kraepelinian psychiatry joined forces with non-psychiatric critics to repudiate and ridicule Freud and his followers. This paper addresses some of the causes and consequences of the decline of psychoanalysis within mainstream psychiatry, and argues that many of the reproaches once leveled at Freud by his late twentieth century critics could now be directed with equal or even greater justice to neo-Kraepelinian psychiatry. This is especially true with reference to bipolar disorder, where contemporary psychiatry would be wise to heed its own motto: ‘Back to Kraepelin’. Bipolar disorder comprises a pattern of symptoms characterised by disproportionate changes in mood, possible psychosis and various other symptoms at different times. Biopsychosocial management approaches often involve medication (e.g. lithium), psychological therapy (e.g. cognitive-behaviour therapy) and social interventions (e.g. social work support). Psychoanalytic contributions to the understanding of bipolar disorder have come from a range of therapists, including Karl Abraham, Sigmund Freud, Otto Fenichel and others. In recent years, emphasis has been placed on identifying the defence mechanisms most commonly associated with mania, and the relationship between pharmacological and psychoanalytic approaches to the disorder (e.g. links between lithium blood levels and mental processes). It is important that, amidst such therapeutic endeavour, and in the context of emergent neurobiological approaches, the individual’s search for meaning in their experience is not lost. Psychoanalytic approaches have a unique role in this respect. Regardless of resource challenges in public mental health services, there is a strong need for a diversity of approaches to all mental health problems, including bipolar disorder, in order to reflect the diversity of individuals affected, problems faced and pathways to recovery. There is a common view that there are two irreconcilable approaches to the understanding and treatment of mental illness. For most of the twentieth century Freudian psychoanalysis was dominant, and many professors of psychiatry were also analytically trained. In more recent years Emil Kraepelin, who had put psychiatry on a scientific footing in the nineteenth century, has regained what many consider to be his rightful preeminence. But are Freud and Kraepelin incompatible? This paper proposes that some synthesis between them was achieved by Jacques Lacan, a classically trained psychiatrist with links to Kraepelin, who nevertheless demonstrated that the psychiatric case-presentation was enormously enriched by the application of Freudian methods to public conversations with psychotic patients. Keywords: Wilhelm Wundt; Franz Brentano; Thesis-antithesis-synthesis; psychological testing. Previously-held ideas about the intrinsically pathological nature of hallucinations and delusions are being challenged by findings from epidemiology, neuroimaging and clinical research. Population-based studies show that the prevalence of psychotic symptoms is far greater than had been previously considered. Therefore it may be timely to re-evaluate our perspective on these psychotic symptoms and their meaning in an evolutionary context. These symptoms may hold the key to understanding the persistence of psychosis in the population. We discuss how these findings also have implications for the public perception of stigma and the development of new therapies that directly engage with the psychotic symptoms. These therapies have the potential to increase patient satisfaction with treatment, increase adherence and ultimately lead to better outcomes. Lionel Bailly – Pediatric Bipolar? Between 1994 and 2003 the number of outpatient pediatric psychiatry visits associated with the diagnosis of Bipolar Disorder in the USA apparently increased 40-fold. Such an increase was not supported by any new research evidence and illustrated a shift of professional towards a purely organic model of child behaviour. The preparation of DSM 5 showed a return to a more psychological model of disturbances in children with the introduction of a new disorder: Temper Dysregulation Disorder with Dysphoria. However, psychoanalytical models can provide a deeper understanding of the process leading to the observed symptoms. Key words: Paediatric Bipolar; Temper Dysregulation Disorder with Dysphoria; paternal metaphor; enjoyment; psychoanalysis. Post-modernism, quantum theory, psychoanalysis-buzz words of the twentieth century likely to be misunderstood by the non-specialist – are domains that are governed by abstract sets of laws whose effect cannot be predicted and, into which, participants have to make their way. To acknowledge such domains is to broaden the definition of science and perhaps allow for a better understanding of one of them – psychoanalysis, which is governed by the laws of the unconscious. Freud discovered these laws, Lacan formalised them. How they work is the ‘evidence base’ of psychoanalysis which uniquely serves subjectivity and thereby excludes the objectifying eye of measurement. My argument is that to ignore this ‘evidence base’ is a loss to psychiatry and psychiatry’s patient – especially the psychotic. The implications of this loss will be further discussed by examining the parallels between thought disorder and the process at work in forming that simple ‘given’ of our psychical lives – the dream, continuous as it is with waking thought. INTRODUCTIONS: Kim Spendlove: My name is Kim Spendlove, I work with the Clondalkin Probation Team out in Dublin 22, so my background is in psychology and criminology. I came by psychoanalysis via the MA in Psychoanalytic Psychotherapy in DBS. I work with violent offenders, who are referred to me by their probation officers. These include people that have either come out of prison or who may be referred to me pre-trial. So some of them would have very, serious charges, including murder and manslaughter and I‟d see them on a weekly basis. John Sheehan: My name is John Sheehan. I‟m a psychiatrist at both the Mater and Rotunda Hospitals in Dublin. My background is as a medical doctor, qualifying in UCD in 1980. I worked in branches of medicine for six years and then specialised in psychiatry. I did the Masters here in St. Vincent‟s in Psychoanalytic Psychotherapy, graduating in 1990. So, I have an interest in psychoanalytic psychotherapy and psychotherapy in general going right back to the 1980‟s. Currently, my work in the Mater includes things like medically unexplained symptoms – so psychotherapy and psychoanalytic psychotherapy are very useful. ….